Hearing that Harvest Moon: The Lost Valley finally was available for pre-orders (over at Amazon, for instance) yesterday prompted me to consider just how many 3DS games I'm still planning to pick up through the balance of this year. One of them is the aforementioned Natsume release, of course. As for why I'm looking to add The Lost Valley to my ever-growing 3DS games collection, despite the fact that I've never before played a Harvest Moon title (although I've long wanted to, believe me), the only answer I can come up with at the moment is that it's giving me good vibes. Specifically, I like its odd art style--which harkens back to the Nintendo 64 era, in some ways--although I like its Minecraft-esque gameplay, too. 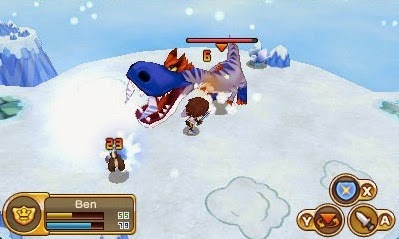 Fantasy Life--I've wanted to play this Level-5 RPG ever since I first heard about it back in 2010. In fact, I've wanted to play it so much that I bought a copy of the Japanese version late last year that I've yet to unseal. (Hey, at least it was cheap.) Don't worry, there's no chance my copy of the North American version of the game, which will hit store shelves in this neck of the woods this October, will remain unopened for more than a few minutes once it's in my possession. After all, I'm pretty sure it's going to be the next 3DS title I put more than 30 hours into before moving on to something else (such as The Lost Valley, perhaps?). Kid Icarus: Uprising--Why has it taken me so long to acquire this one, and why am I finally doing it now (or soon)? My response to the first question is that I've always been a little wary of Uprising, mainly due to all of the complaints I've heard and read about its controls, while my response to the second question is that enough people I trust have assured me in recent weeks and months that the game's worth checking out even with its sometimes-awkward control scheme. Toss in the fact that I've been a Kid Icarus fan since the beginning, and it should be easy to see why I'm still keen on this follow-up. Kirby: Triple Deluxe--My original plan, before Triple Deluxe was released in early May, was to pick up a copy of it at launch. That didn't happen for various reasons I can't currently recall (I'm guessing a biggie was that I spent the money intended for Kirby on a Japanese GameBoy title or two), unfortunately, but I'm still very much interested in playing this portable platformer--especially since it has more than a passing resemblance to Kirby's Return to Dream Land, a Wii release I absolutely adored. 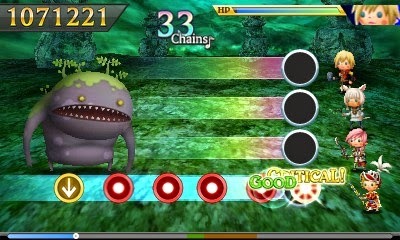 Theatrhythm Final Fantasy: Curtain Call--Speaking of games I absolutely adored, the first Theatrhythm Final Fantasy has been one of my most-played--as well as most-enjoyed--3DS titles so far. I'm expecting to have a similar experience with this sequel, which will hit North American store shelves on Sept. 16. As much as I'm anticipating that date, I have to admit I'd be anticipating it even more if the amazing special-edition system that accompanied Curtain Call's Japanese release had made its way to our shores as well. What, no mention of two other big 2014 releases, Persona Q and Super Smash Bros. for 3DS? Actually, I'm very likely to buy them, too, but probably not until sometime in 2015--along with A-Train: City Simulator, Hatsune Miku: Project Mirai Remix and hopefully a couple more currently unknown games. 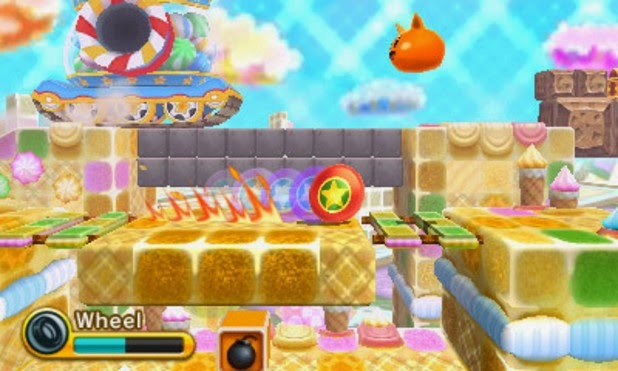 Are any of you looking forward to any 3DS games in particular between now and the end of the year? 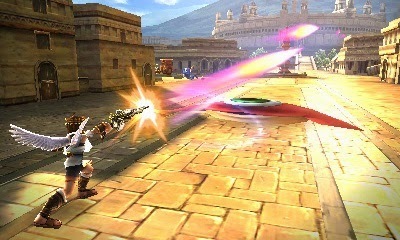 KID ICARUS: UPRISING IS MY FAVOURITE 3DS GAME YOU ~HAVE~ TO DO IT. The control scheme wasn't much of an issue to me, and once you get engrossed in it you totally forget how your hand is positioned. I think the Monster Hunter "claw" is a much more difficult/painful position to be in anywho, and plenty of people overcame that. I'm looking forward to Curtain Call as well. I think I spent more on extra DLC tracks than I did on the original game by the time I was finished with it. I'm also planning to buy Fantasy Life, and I still need to pick up a copy of Kid Icarus. The big game for me is Pokemon Ruby/Sapphire. I can't wait for that one. Also: if you liked the original Kid Icarus, you should really pick up the 3D Classics if you haven't already. The new additions with graphics, 3D, and updated save features make it a much smoother ride than the original NES version. Thanks for the comment, Zach--and the support! I'm sure I'll be OK with Uprising's control scheme in the end, don't worry. Pokémon is on my list as well, but I can understand having a hard time getting excited if you're still working through X. I've never played through 3rd Gen before (LeafGreen aside), so I'm excited to have a new experience as opposed to a "remake". I get that. Pokémon is huge for my friends and I, so I have that extra peer-pressure nudge in addition to my fervor for the series pressing me on to at least beat the Elite 4. Black and White was the only version that really tested my devotion to the series. Interesting. What was it about Black/White that bothered you--or at least tested your devotion to the series? Wow I'm actually picking up much of the same games. Except for Uprising. That was the second 3DS game I bought and couldn't get into it. Hopefully you enjoy it though! Except for when ti comes to Uprising, I mean. Unless, of course, I also can't get into it--which would put us right back where I started. Anyway, I'm most excited about Fantasy Life, I think. How about you? Hmm, good question. I think it was the random difficulty ramp and garbage graphics? It was the first one that had any 3D, and, with the little that they chose to do, I wasn't a fan. Black 2 was great, I thought, since there was significantly faster load times, less lag, the pixels weren't stretched out and whatnot, and they seemed to figure out a way to synthesize the 3D buildings and environments with the 2-dimensional ones a lot better... A lot of the pokes weren't my fave either. I really got attached to Pearl's graphic/music scheme (and SoulSilver had some of it too, Silver was my favorite version so I feel a little nostalgic bias for that one), which was pretty simple and had a realized style, whereas that main city in Black, the one based on NYC I think, was just huge and clunky. It just didn't really feel like a Pokémon game to me, I guess? I think I'm excited about Fantasy Life. Still on the fence but I'll likely buy it anyway. It looks cute enough and has elements that interest me. Somehow reminds me of Youkai Watch. I dunno why. Might have been watching too much gameplay of the game. Anyway, I'll be doing some more research into Fantasy Life before I commit. Curtain Call actually has me excited even though I've played and beat the game. Hmm, I think Fantasy Life and Youkai Watch are fairly different in terms of their gameplay, but I may be wrong. As for Curtain Call: yes, I beat the first one, too, and I'm still interested in this one. Actually, I think that made me MORE interested in this follow-up! Yeah the gameplay is different. I don't know why the two feel similar to me. Well, they are made by the same folks, or at least some of the same folks, so I think the comparison makes some sense! Yeah! I respect that, I have weird tastes. I was excited at the time, but as I played it just seemed to be more of a grind than a game, and I'd never really considered Pokémon games as JRPG grinders in the past. I guess it was just too foreign for me! Oh well, I'm glad you enjoyed it. It's all about having fun anyway. Yes, that's very true. Anyway, hopefully you like the Ruby/Sapphire remakes as much as you hope you will! Kid Icarus is fun but, the control scheme was poorly devised. I really loved the game but the control scheme got to me in the end. I never finished it and instead would play multiplayer matches with friends. I love the included bots which were great for practice when the friends weren't around. I got a copy of Kid Icarus Uprising for my birthday last year, but have yet to open it! As for upcoming games, I'm definitely interested in finally picking up Fantasy Life! I hope we'll be able to play together online! How long ago was your birthday, Anne?? Granted, I can't tease you too much, as I have a number of unopened/unplayed games myself XD Anyway, YES, we'll definitely have to try to play Fantasy Life together! It is a fantastic game with great humor and excellent mechanics. I loved it. I only had 1 gripe. I'm curious as well. Everyone loves it, some of us can't work with the controls. I can't wait for fantasy life.